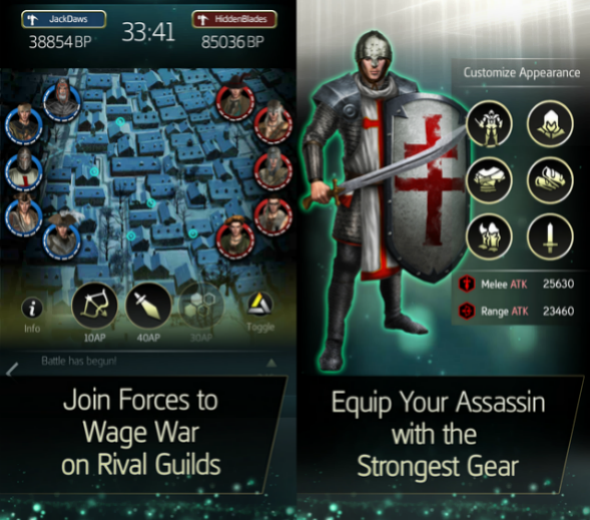 About a month ago, the new Assassin’s Creed Memories mobile game was announced for the iOS devices, and finally, yesterday, it became available on the App Store. 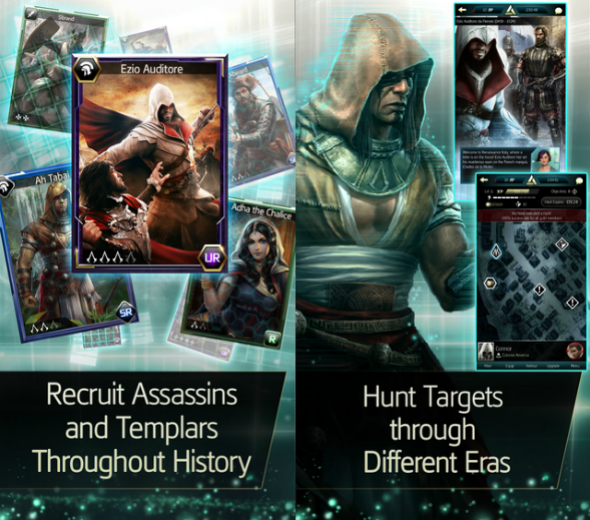 The Assassin’s Creed Memories mobile game combines such genres as RPG, card battle and strategy. Besides the well-known historical periods - Italian Renaissance and Colonial America, - the players will explore the new ones - Feudal Japan and Imperial Mongolia. In order to receive the title of the best assassin, the gamers will travel through the time, collect the necessary cards, complete different missions and hunt down the bosses. Also, the multiplayer mode is available in the new Assassin’s Creed Memories mobile game. Earlier, the developers promised to make it quite interesting. And apparently, they’ve managed to do it. The players are able to participate in the 20x20 guild battles. The team can win by building the effective attack tactics and various combinations from the cards of three classes: Weapons, Armour and Allies. Moreover, the first two card categories will help customize the main character. The new Assassin’s Creed Memories mobile game is free-to-play, but it also includes some additional paid features. It’s worth mentioning that this application requires the constant Internet connection.